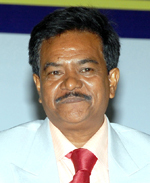 CHENNAI.NOV.2009: Directorate of Indian Medicine and Homoeopathy has nominated Dr. King Narcius, Advisor-Homoeopathy, Government of Tamil Nadu as Nodal officer for the campaign on Mother and Child program in Tamil Nadu. The principle Secretary and Director G.A.Rajkumar issued orders following the resignation of Dr.R.Gnanasambandam, former president, Tamil Nadu Homoeopathy Medical Council. He submitted his resignation since the tenure of the president post expired . Government of Tamil Nadu launched the state campaign on Mother and Child care last year. The District level campaigns and training of trainers program will be launched .